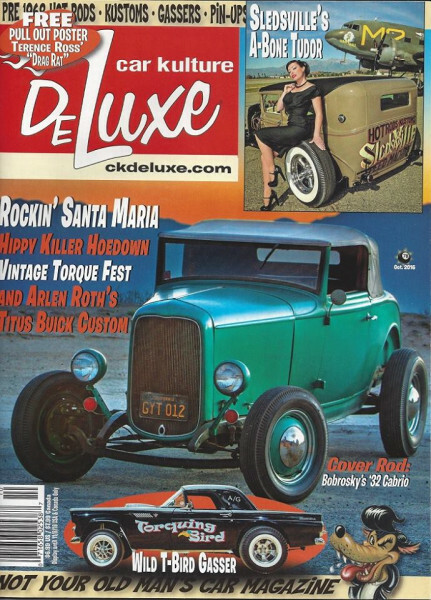 Produktinformationen "Car Kulture DE LUXE Issue 78"
Check out the green Deuce on the cover (photographed by Michael Harrington). It was built in the 1950s and came with full documented history. We also have Arlen Roth's custom '56 Buick featuring the late Elden Titus' first chop! Vintage Torque Fest, WCK Santa Maria, Indy World of Wheels, you name it. It's a great issue. We guarantee you'll dig it, so go get it! Weiterführende Links zu "Car Kulture DE LUXE Issue 78"
Kundenbewertungen für "Car Kulture DE LUXE Issue 78"